We demonstrate an innovative approach to uncertainty assessment known as the NUSAP system, to assess qualitative and quantitative uncertainty for the case of emissions of volatile organic compounds (VOC) from paint in The Netherlands. 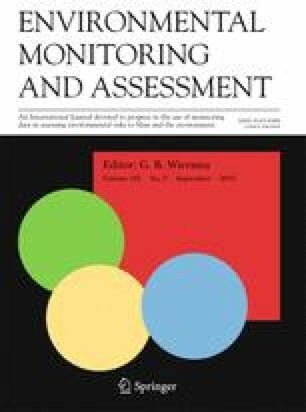 Using expert elicitation, we identified key sources of error, critical assumptions, and bias in the monitoring process. We assessed pedigree and probabilistic uncertainty of all input quantities. We used four pedigree criteria to assess the strength of the knowledge base: proxy representation, empirical basis, methodological rigour and degree of validation. Using Monte Carlo analysis, we assessed sensitivity and propagation of uncertainty. Results for sensitivity and pedigree were combined in a ‘NUSAP Diagnostic Diagram’, which effectively highlighted the assumption for VOC percentage of imported paint as the weakest spot in the monitoring of VOC emissions. We conclude that NUSAP facilitates systematic scrutinization of method and underlying assumptions and structures creative thinking on sources of error and bias. It provides a means to prioritise uncertainties and focus research efforts on the potentially most problematic parameters and assumptions, at the same time identifying specific weaknesses in the knowledge base. With NUSAP, nuances of meaning about quantities can be conveyed concisely and clearly, to a degree that is not possible with statistic methods only. Unable to display preview. Download preview PDF.